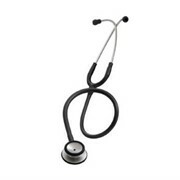 The Littmann Master Classic II stethoscope offers efficiency in stethoscope auscultation that is unprecedented in a general examination stethoscope. 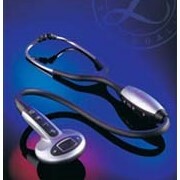 Its unique computer-designed chestpiece allows you to modulate between low and high frequency sounds by simply alternating pressure on the chestpiece. The traditional bell and diaphragm modes are incorporated into the single-sided "Master" chestpiece. To hear low frequency sounds typically heard with a traditional bell side of a chestpiece, simply use light contact on the skin. 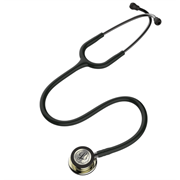 To hear high frequency sounds typically heard with a diaphragm side, apply firm pressure. No longer will you need to remove the chestpiece from the patient and mechanically switch from a bell side to diaphragm side. You can switch from low to high frequency response instantly without interruption. The new "Master" chestpiece makes it easier to auscultate under a patient's gown. You'll never have to check which mode you're in or tap on the diaphragm. 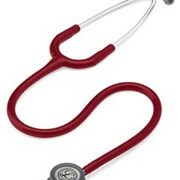 Compared to the traditional two-sided Littmann Classic II stethoscope, the high frequency response of the Littmann Master Classic II stethoscope is outstanding, allowing you to hear even faint lung sounds. The low frequency response is also significantly improved. 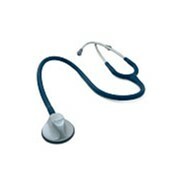 Its excellent overall acoustics offer an advantage to heath care professionals who listen to both heart and lung sounds. 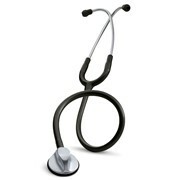 It's also ideal for pulmonologists and respiratory therapists. The cast chestpiece assures long-lasting performance and durability. It is protected with a hand-polished, scratch-resistant finish that will endure everyday wear and tear. A reinforced double-leaf spring and thick binaural provide extra durability, while still maintaining portability. 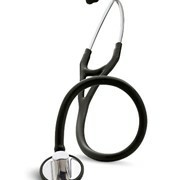 The Littmann Master Classic II stethoscope features a non-chill rim and diaphragm assembly for patient comfort. And the chestpiece is finger-contoured for an easy-grip, secure hold. 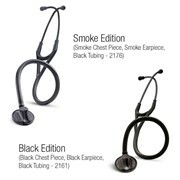 The lightweight, adjustable-tension headset, and 3M Littmann Soft-Sealing Eartips make the stethoscope even more comfortable to wear. 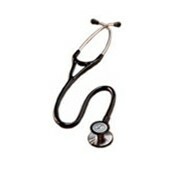 It provides excellent portability, allowing you to fold the stethoscope easily into your pocket without kinking or breaking. 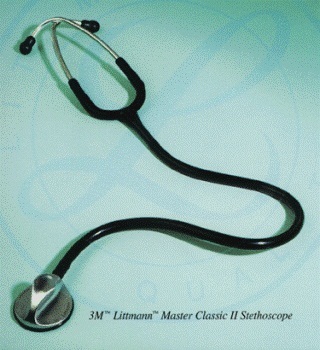 The Littmann Master Classic II stethoscope is backed by a three-year warranty and lifetime service and repair policy. 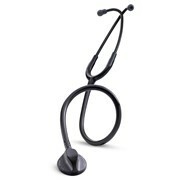 It's your assurance of years of performance from a highly portable general exam stethoscope.